There are so many web hosting companies for people who want to start an online business or start a new website project, and the one that is ahead of its time is FatCow. If you are thinking of where to host your websites, this FatCow review should give you the necessary tips for making the decision. I have measured their Uptime! I have my uptime monitor pointed at a website hosted by FatCow and here are the results: for the last 30 days, the site had a 99.78% uptime. It is below the advertised 99.9%! The reason for that is unclear and can be many things. Maybe a simple timeout between my monitor and their servers, or they may have had unscheduled downtime. The freebies that come with this company go above and beyond all other web hosting sites. If you want to create a personal blog or an e-commerce site, or use WordPress, there are many free blogging tools made available by the company. WordPress is a fully-integrated blogging system that so many Internet bloggers are using, and the control panel (you can find it under “SimpleScripts”) makes it possible to easily install WordPress. FatCow web hosting also includes free advertising credits at the biggest and best search engines and websites in the world. Google AdWords is one of the best places to get a buzz on your site and you will receive $100 worth of AdWords credit with your plan. You will also get $25 in search credits with Yahoo! and Bing. The biggest website in the world, Facebook, is another excellent place to advertise, and your service comes with $50 advertising credits to let the world know what you are offering. When you choose to have your website hosted on FatCow, you will also receive a free business listing on YellowPages.com, and you will also receive a toll-free phone number with Nextiva. This is another thing which makes the hosting company stand out from the rest. One of the ways that FatCow is ahead of its time is because 100% wind energy runs the web hosting company’s offices and data centers. Because of green energy powers the web hosting site, you get to post a badge on your website when you choose FatCow as your web hosting company (if you want to). The badges will link to a certificate that proves how green your website is and how green your web hosting site is. This may even help draw more customers and activity to your website because so many people like to patronize eco-friendly websites. Your reputation will grow, and your business will grow. You will get some “fat” options that will make web hosting easy for you. You will have unlimited disk space and bandwidth, so you can have as much content as you want and need on your site. Users like the fact that it does not matter how many pictures, videos, blogs, and products they could list on their website without having anything shut down from the web hoster’s end. They have a Fair Use Policy in place though. It means that if you use your account for file storage and have files that are not linked from your website you will get in trouble. Another restriction is that they may limit your account if you use more resources many times what the average user needs. Your POP mailboxes, MySQL databases, domains hosted, and domain names are all unlimited and free. The company also offers a free website builder and shopping cart as well as a script library, so you do not have to write scripts all by yourself. You can use WordPress, GBook, phpBB, Gallery2, Joomla, and more templates and blogging tools. You will be able to take advantage of SSL secure server and FTP users and sub-users. You can even call sales and support when you need it. You can even use live chat right on the homepage of the website. A friend of mine told me a couple of days ago how he tried the live chat and they helped him decide to go with FatCow over other web hosting sites. The hosting plan from FatCow is powered by vDeck, popular among Endurance International brands. Through vDeck, you can efficiently manage files, domains, websites, email addresses, scripts, and databases. vDeck control panel is excellent regarding business applications because it has built-in E-commerce solutions for marketing and establishing your online store. This is in addition to being able to create newsletters and countless other things. 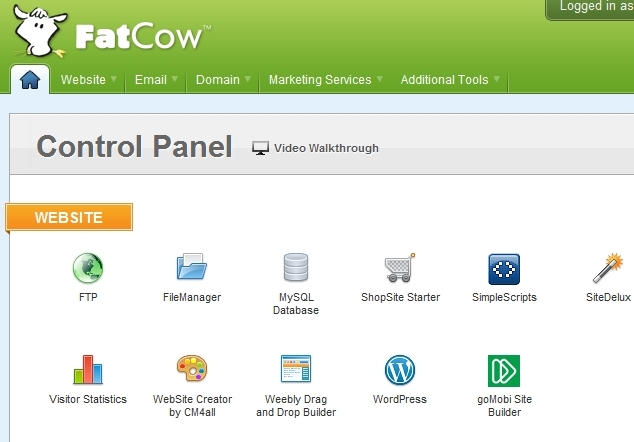 Once you sign up with FatCow, you will notice that the control panel is straightforward to use. In most cases, users do not need to know anything about computer technology and that the learning curve is non-existent. Even if you are lost, the company has a live chat system to ask your questions. An essential tool for succeeding in doing business online is being able to communicate with the world, especially your customers and those who might be interested in what you are offering. Another useful feature of the hosting plan from FatCow is the tools for sending emails. There are unlimited POP mailboxes for successfully sending emails. You will also enjoy spam filtering tools to only receive emails from those who are interested in your business. Some other cool features of the hosting plan are the WebMail Client, an apparatus for managing your newsletters, and if you like, a 60-day free trial of Constant Contact, one of the best email management companies in the world. In some cases, you are expected to pay a setup fee when joining a web hosting company. This is not the case with FatCow. In addition to all the hosting features mentioned above, your hosting account will be set up free of charge. A domain name costs about $10 if you register it at places like Namecheap or Namesilo. 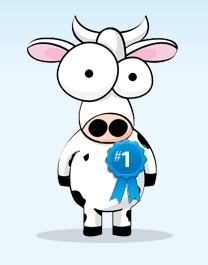 When setting up a new account with FatCow, you will be given a domain name of your choice for free, but only for one year. At first, this also adds to your savings. From the second year on though, you will have to pay a lot more so you should be better off going to another domain registrar right from the start. If you are serious about succeeding online, this is one of the few hosting companies you should consider.